TRIPLE R is the market leader of fluid purification for the steel industry. 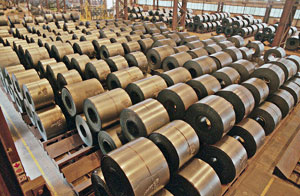 We deliver unique solution-driven contamination control products to steel mills all over the world. Our TRIPLE R Filter Products provide reliable mill operation and create significant cost savings for our international clients. As the steel industry is continually challenged with keeping process fluids clean, TRIPLE R offers a unique solution that works flawlessly in the extreme environment these fluids have to operate in. That's how we guarantee perfectly clean oil!